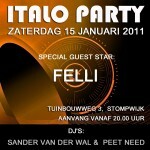 15-01-2011 Italo Party with FELLI! 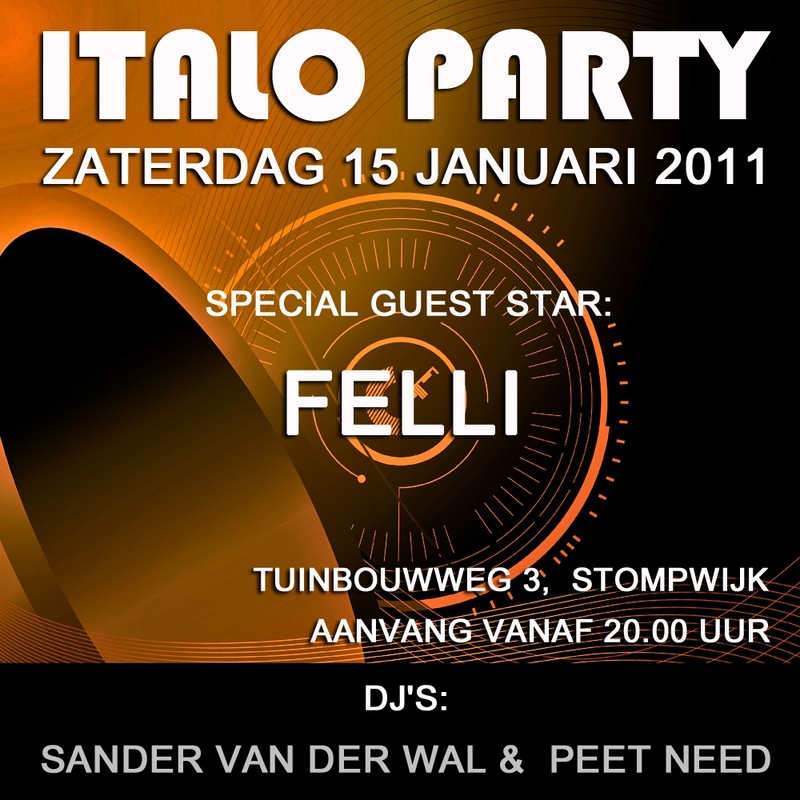 On the 15th of January 2011 another Italo party will be organized in Stompwijk, The Netherlands. Last years party was very succesful with George Aaron and this time the special guest star will be: FELLI (Diamonds In The Night, Greatest Mind)!